Perfect location, right next to the lift stations! You don’t need to walk in your ski boots. Just slide down the piste to our depot. Why lug around that heavy equipment? Just get into your dry boots every morning and start your day out on the snow. 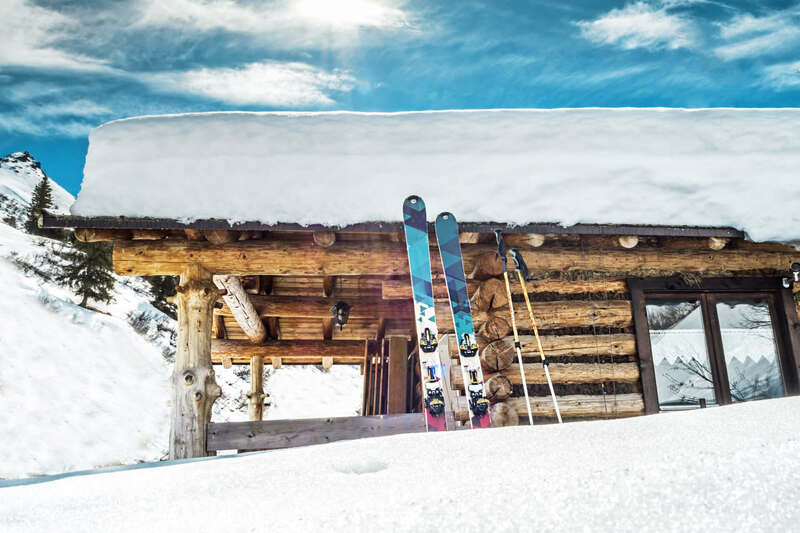 Store your skis or snowboard in your personal, heated locker with storing capacity for either two, three or four pairs of skis,boots, helmets and gloves. You’ll need your ski card to open it. 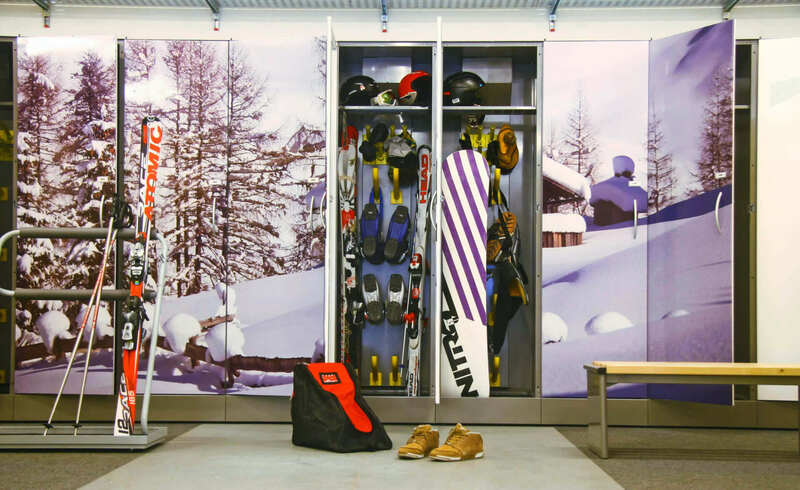 The 2-,3-, 4-people ski lockers can store skis/snowboards and boots. 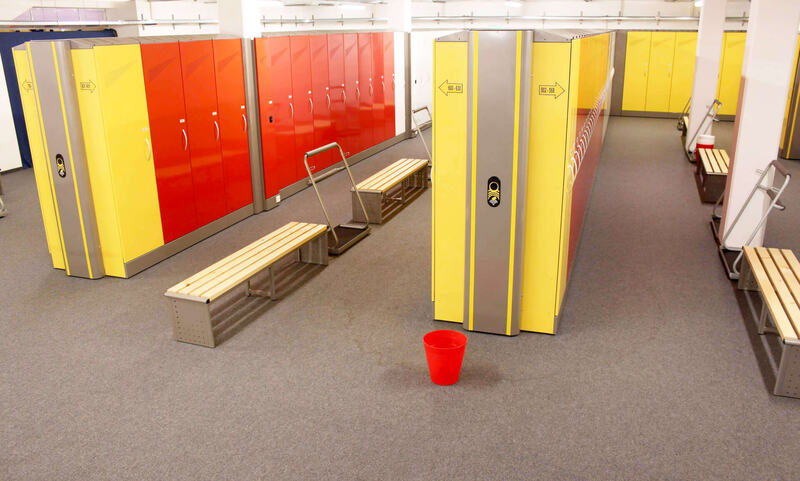 The new lockers for your personal ski equipment are also equipped with helmet shelves and glove dryers. At night boots and gloves are heated and dried in the locker. Your toes and fingers will thank you the morning after! Here’s how it works: Your locker number is matched with your ski pass in our own ski depot. Simply hold the card close to the sensor and the door will open! The place in the storage locker in the heated ski depot is included in the rental price charged for our skis and snowboards. E.g.If you are 2 people renting at our ski rental, you will receive a 2 person locker, which each person can open with his lift ticket. The boot dryer inside your storage locker is always included in the rental price of our equipment even if skiers use their own boots. For a small difference in price it is possible to add your private skis/snowboards to the locker rental. 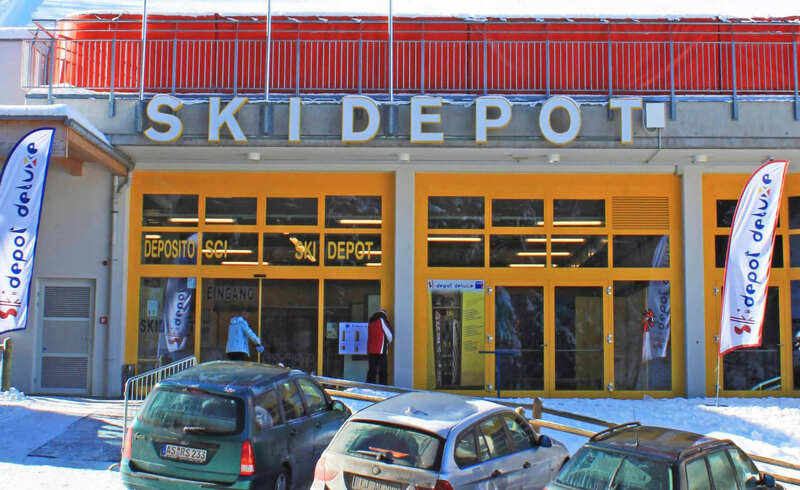 Choose between Ski depot Skisalon and Ski depot Deluxe.